Do You Need A Timing Belt Replacement? Whether it’s high-end or daily driving, when it comes to engine performance, your timing belt is crucial. Not only does open and close your intake and exhaust valves, but when a timing belt fails, it can blow your pistons into your valve covers and ruin your engine. Depending on your engine, a failed timing belt can be catastrophic and require an engine rebuild. Your timing belt keeps the moving parts of your engine synchronized. To put it simply, without a timing belt, the internal components of your engine collide, which results in bent valves, and damage and warping to the cylinders and pistons. If that doesn’t sound like something you want, the best way to prevent it is by making sure you replace your timing belt before it’s too late. Not sure you need it? 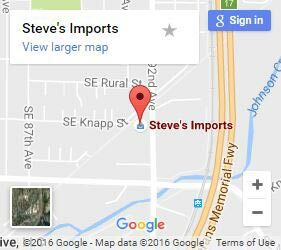 Bring your car into Steve’s Imports and we’ll tell you if your timing belt is on its way out. The point at which your timing belt needs to be swapped, depends on your vehicle and the number of miles you’ve got on the odometer. The best way to know for sure is to follow the recommendations of your vehicle manufacturer. While many vehicles recommend a change at 60,000 miles, others can go as long as 100,000 miles before a change. However many miles your belt is rated for, you don’t want to risk going over. It’s not unheard of for a timing belt to break suddenly and without warning from the check engine light. Don’t risk your entire engine to pull an extra six months from a failing timing belt. Still not sure if you need a new timing belt? If you’re like most drivers who hold onto a vehicle for less than six years, you’ll probably need to replace your timing belt at least once. Want to know if your timing belt is worn? Here’s what to look for. Visual Wear – The thickness or height of the belt will thin as it undergoes wear-and-tear. This may cause belt tension to be reduced. Abrasions – The inside of the belt may hold abrasions if filaments and edges wear down. Cracking – Neoprene belts make cause cracking — which needs immediate replacing. Glazing – A precursor to a belt that’s becoming stiff and ready to snap is a shiny glaze to the underside of the belt. Piling – If a timing belt has worn down, there may be a visible build-up in-between the teeth of the belt or rib cross-sections. Did you know your timing belt can hydroplane? If water isn’t properly removed from the belt, this can cause the belt to lose traction and hydroplane within pulleys – in much the same way as your tires may slide over wet ground. 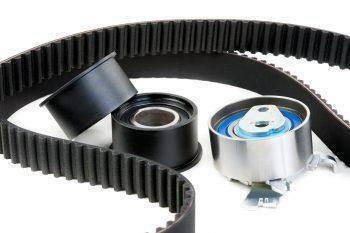 Belt hydroplaning is experienced in the form of power loss to your engine powered accessories. Belt misalignment Misalignment indicates the belt tensioner is failing. This result is vibration, noise and the enemy of engines — uncontrolled heat. We’ll Install A New Timing Belt That LastsWe use ultra-strong EPDM timing belts that are made out of a much more durable material than the neoprene material many older cars used. Not only do they last longer, they are more robust in general. What that means for you is that you won’t experience the common symptoms associated with timing belt wear. The peace of mind alone is worth it, and we feel good sending off vehicles with the safest timing belts possible. Call us for a timing belt replacement in Clackamas today. Still not sure whether or not you need a new timing belt? Just give us a call. We’ll let you know how your belt is doing and make sure you get the service you need. 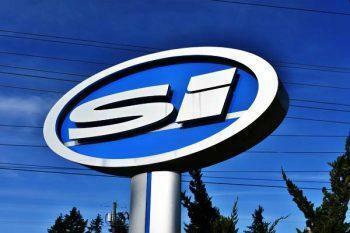 All service at our auto repair shop is performed by ASE-Certified technicians who guarantee their work. Call or contact us today to schedule your appointment.